Edraw Flowchart Maker is a professional vector drawing flowchart maker software extended with audit flowcharts solution that allows you to draw audit flowcharts with all kinds of audit diagram shapes. Financial audit, as an objective evaluation of an organization's financial reports and financial reporting processes, is usually carried out by experts who are working on the financial statements. Owing to its crystal clear structure, it is also widely-used for representing an audit process. Flowchart, a type of diagram that represents an algorithm, workflow or process, showing the steps as boxes of various kinds, and their order by connecting them with arrows. 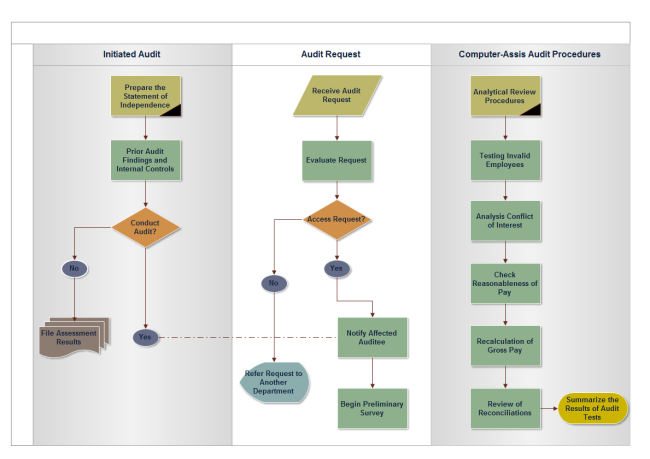 Therefore, flowcharts are often used in auditors’ activity. 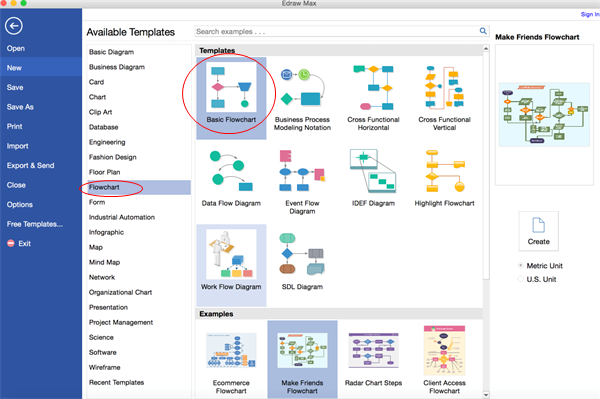 Following tutorial will show you how to create an audit flowchart effortlessly and efficiently. Simply download and install this audit flowchart maker software first before designing audit flowchart. 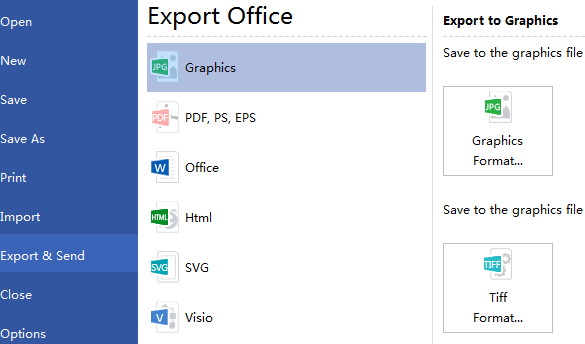 On the File menu, go to New >Flowchart, and then double click Basic Flowchart to pen a blank drawing page for creating an audit flowchart. Library on the left panel of the program covers all flowchart shapes needed to draw an audit process flowchart, simply drag and drop them onto your drawing page. Tips: you can change a shape's color and border by clicking any style under the Home tab in the Styles group. Tips: if two shapes are aligned, a straight connector is generated. If not, a right-angle connector will appear. -> Right click a connector to change its style. You can also use Connector tool under Home tab to connect shapes manually. To add text content to a shape or connector, double click it, and then type. Click on any blank area of the page to finish typing. After that, you have completed an audit flowchart. 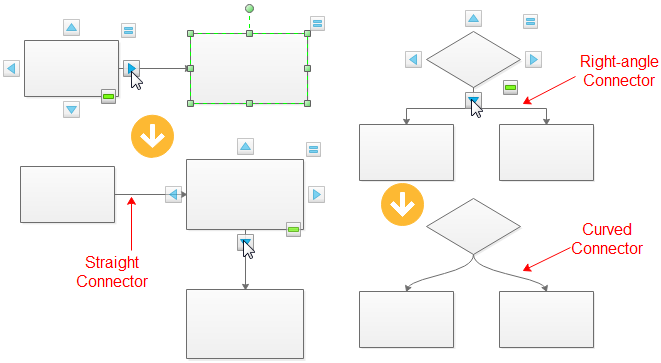 Here are some flowchart examples created by our flowchart software. For more detailed information, plase refer to How to Create a Fantastic Flowchart.